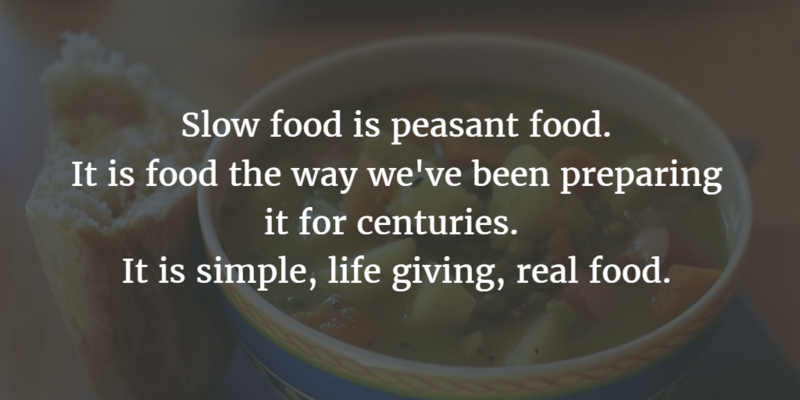 Slow food is peasant food. It is the way our families have been growing and preparing food for centuries. It tastes good, it’s feels clean, and it’s honest. We feel more alive when we eat it.